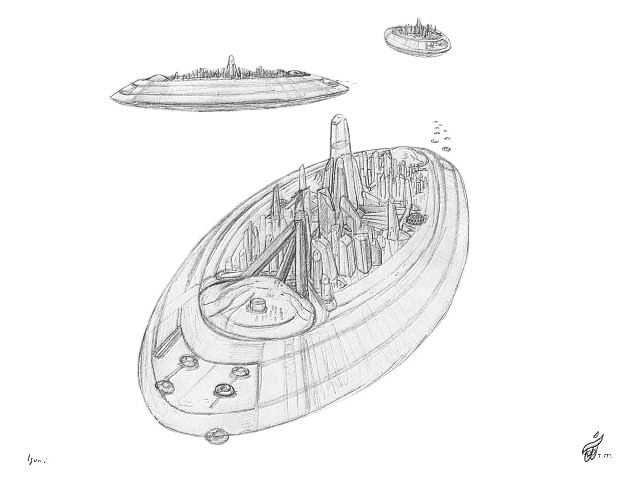 The Galactic Alliance Emerald Star Flagship Sketches reveal the unique design characteristics of these massive inter-galactic anti-gravity powered spaceships. They belong to the vast benevolent Galactic Inter-dimensional Alliance Of Free Worlds. 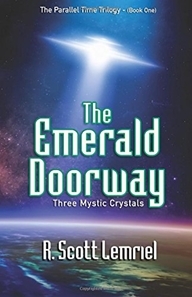 You will discover more amazing things about them in book one of The Parallel Time Trilogy series titled The Emerald Doorway (Three Mystic Crystals) by author R. Scott Lemriel. These three Galactic Alliance Emerald Star Class anti-gravity powered mother ships are a mile-long. These Galactic Inter-dimensional Alliance of Free Worlds spaceships capable of inter-galactic travel were coming to our planet in this very advanced form over 100,000 years ago and in the past back several million years. Today, these massive parent ships of the Galactic Alliance have more advanced capabilities. The Galactic Alliance Emerald Star Flagship Sketches title and this visual illustration open a glimpse into the majesty and scope of what these ships can do. Under certain circumstances, with Master Adept guidance, they can also traverse along the past and future time track. Note: You can click any of the three link buttons provided above to view another sketch and scene, or to obtain The Emerald Doorway (Three Mystic Crystals) book one of The Parallel Time Trilogy or The Seres Agenda hidden truth revealing book with the special techniques section located at the back.